Chris Packham was born in Southampton in 1961 and as soon as he was crawling around suburbia Ladybirds were being desiccated in matchboxes and tadpoles tortured in jam jars. Husbandry skills improved and the menagerie expanded to large collections of reptiles (inside) and birds of prey, foxes, badgers, squirrels etc (generally outside). A precocious young scientist, swat and nerd in training he studied Kestrels, Shrews and Badgers in his teens and undergraduate days at the Zoology department of Southampton University. Post graduation and a cancelled PhD, he began taking still photographs and trained as a wildlife film cameraman. The photography continues with exhibitions and invitations to judge prestigious competitions but the camerawork gave way to presenting. Chris began with the award winning ’Really Wild Show’ in 1986 and has been working ever since. Credits include ‘Wildshots’, ‘Wild Watch’, ‘Go Wild’, basically lots of things with ‘wild’ in the title. ‘X-Creatures’, ‘Postcards from the Wild’, ‘Hands on Nature’, ‘Nature’s Calendar’, ‘Springwatch’, ‘Autumnwatch’, ‘Secrets of our Living Planet’ had more inventive programme names. 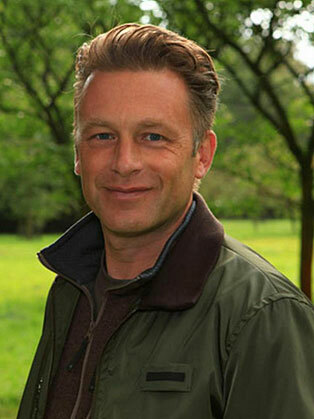 Packham is known for his television work, notably in the BAFTA-winning BBC1 children’s programme The Really Wild Show and nature photography series Wild Shots on Channel 4. He was the lead presenter on the BBC South’s Inside Out and also presents the nature programme Springwatch and Autumnwatch.